Utilizing a proprietary Thermo-Marine Bonding System™, this treatment fills in and binds broken hair fibers together, instantly mending split ends while a Brazilian Super Nutrient Complex prevents future breakage by protecting ends against daily styling and environmental damage. 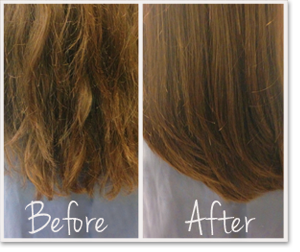 The Brazilian Blowout Split End Repair procedure end result is instantly repaired, stronger, healthier ends protected against future breakage. Beginning with slightly damp, shampooed hair, the stylist will lightly dust the solution onto the bottom 2 to 3 inches of the hair. Product will be combed through the ends to ensure each strand is coated with reparative nutrients to mend and seal where the cuticle is split or broken. Next, the stylist will blow dry the hair as smooth as possible using a round boar bristle brush. 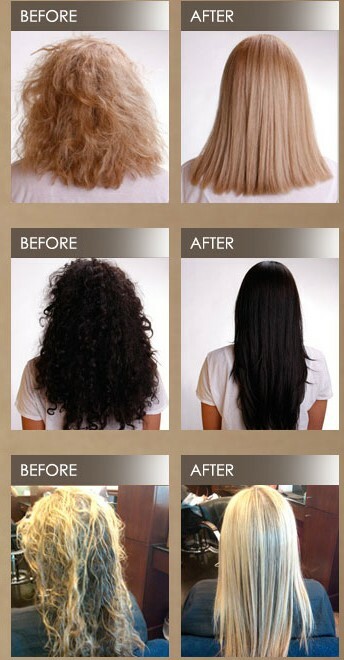 Finally, the stylist will flat iron the bottom 2 to 3 inches of the hair to lock in the product and seal the ends. 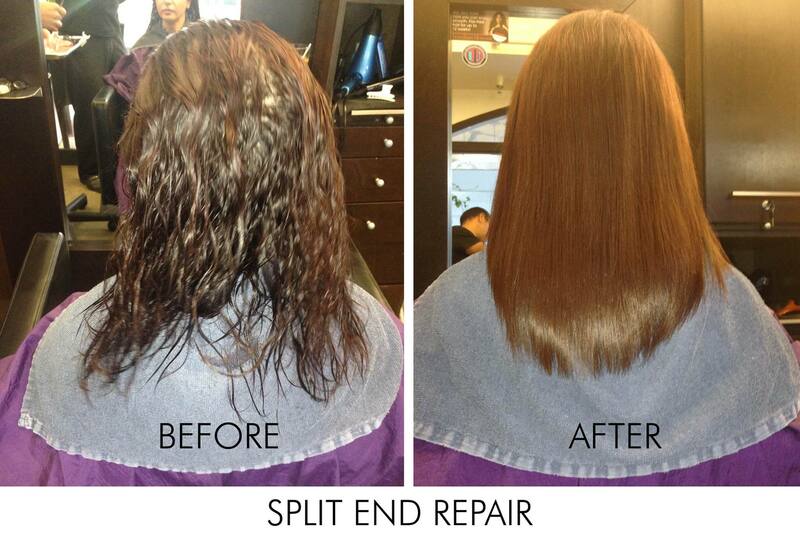 Once the Brazilian Blowout flat iron step is finished, the treatment is complete. There is no down time! 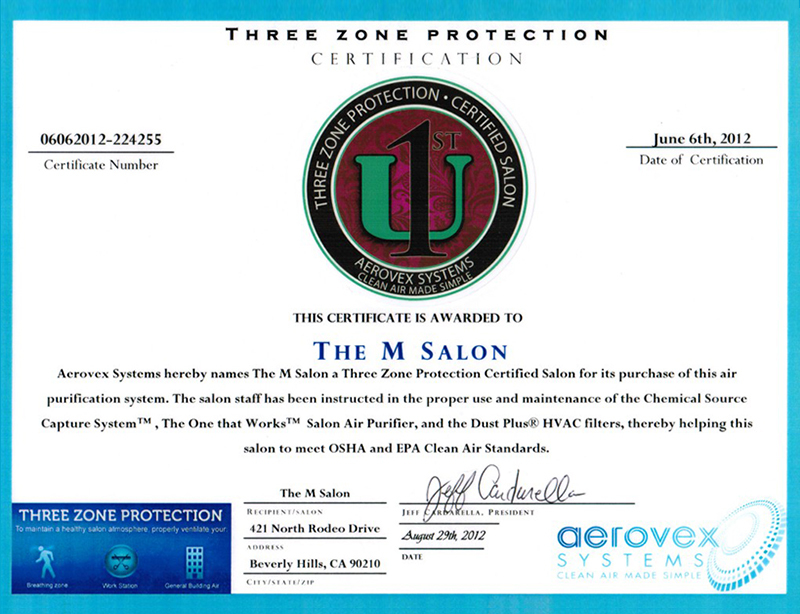 You may wash your hair, exercise, put your hair in a clip, ponytail or bun without worry! 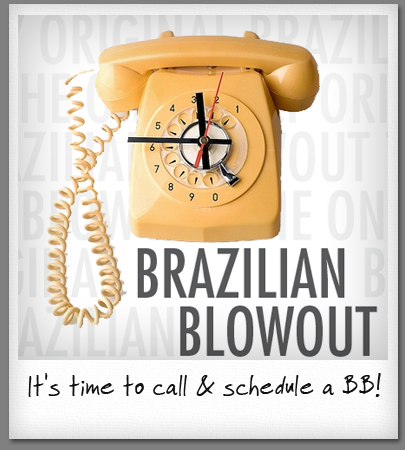 Brazilian Blowout Split End Repair is the Only In-Salon Service That Instantly Repairs, Strengthens, Seals & Protects Ends For Up To 4 Weeks in only 10 minutes!